ZANESVILLE, Ohio — A local history museum in New Straitsville is working to not just preserve the history of it’s town, but to re-tell the stories of their past to future generations. 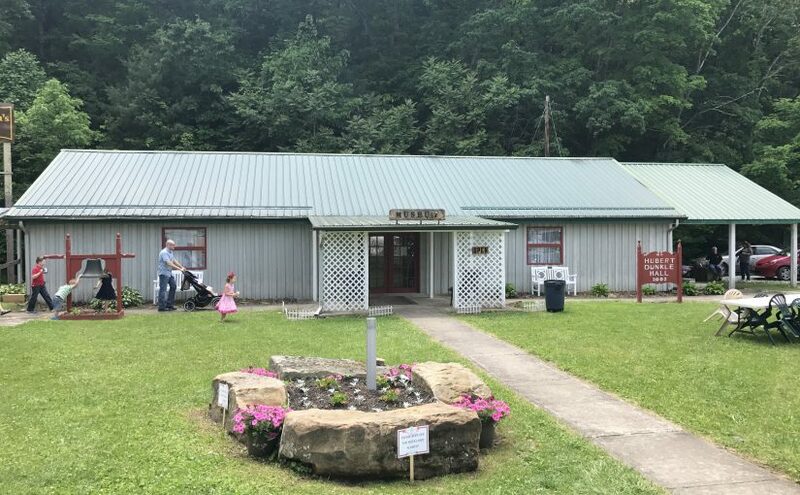 The New Straitsville History Group has collected stories, artifacts, and pieces of history over the years to help tell the story of their beginning as a coal-mining town, to where they are today. “There was a group of people that were concerned about preserving the history. This started out as a coal-mining town and was a boom town. So this group worked together to get collections, to get the stories, and to keep them, and pass them on. We’re all about preserving the history. You learn from your past, so that you can go forward,” said Susan Miller, the President of the New Straitsville History Group. The museum is called “Dunkel Hall,” named after Hubert Dunkel, also known as “The Can Man.” Dunkel had a vision that he could help the group out by collecting cans and turning them in for recycling. Dunkel collected over one-million cans, and raised over $10,000 which he used to purchase the building that, at the time, was a band camp dining hall. He tore the building down, re-erected it with help of the local masonry’s, and it became what it is today. Miller points out one display in particular on Memorial Day weekend– a diary from Clarence Grandy, a local World War II veteran who told a first person account of his experiences at Pearl Harbor. Grandy was very proud of his service and kept any records of it that he had. Miller explains when his family had to place him in a nursing home, they wanted to make sure that his story was told and remembered. In the collection of things they received when they were unpacking was that diary. “He’s got his electrical notes, but then as you flip back through, you find a day-by-day account of when he was stationed on the ship in Pearl Harbor. He kept record of the number of planes that were shot down, ships that were bombed. All the actions on a very person level,” added Miller. In addition to the diary, they also received Grandy’s full service uniform. Miller joked that they had to put the uniform on one of their female mannequins because it was too small to fit on a male. However, she points out that it shows a good representation of the small-stature man that he was, and how young he was when he was serving his county on the USS West Virginia. Miller emphasized that it’s so important for the history group to preserve the stories of New Straitsville. She explains that so many surrounding villages disappeared when the coal-mining industries moved out, and it was always important to the people of the community to stick together, to form unions when necessary, and to do whatever necessary to be active in their town’s growth and success. Miller said when she was 17 she wanted to leave New Straitsville, but when she came back, she had a new appreciation of her roots, and a realization of where she came from that provided her with a pride in her home town. She says now she can appreciate her past, live in the present, and motivate herself for what she can do in the future. To find out more information on the New Straitsville History Group, you can visit their Facebook page.